A boater’s paradise! This Key West Style home is located in Old Pelican Bay, has direct, deep water sailboat access, with NO bridges and is only minutes to the Gulf! 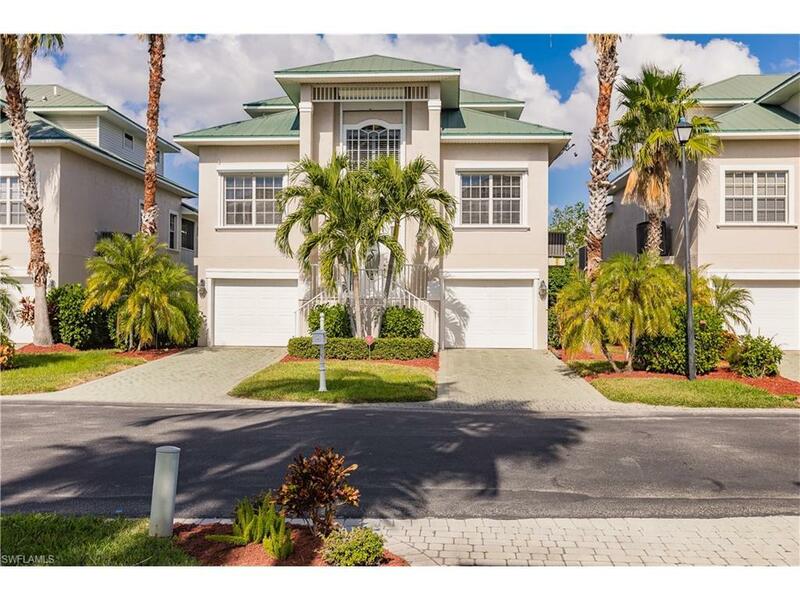 Old Pelican Bay, an exclusive, gated boating community is located a mile north of Fort Myers Beach. This home is 3 floors, featuring 3 bedrooms and 3 baths! Beautiful tile floor coverings throughout the main living areas, with neutral wood look tile in bedrooms. Home boasts private elevator, storm shutters, upper level lanai and an additional bonus entertainment room with wet bar between two separate garages on first level. Kitchen features gorgeous granite counter tops, newer stainless appliances, detailed tile back splash, breakfast bar and breakfast nook! Private, expansive master bedroom on the 3rd floor with his and her closets and its own balcony with impressive preserve views! Secluded pool and spa, with 2-story pool cage. Home includes 1 boat slip across the street, w/13, 500 lb. boat lift and a PWC hoist plus second slip for your guests. Slip #'s 12 & 18. Experience the SWFL lifestyle in one of the only gated, single-family residence communities in the Fort Myers Beach Area!